According go the vallartadaily.com, the Canadian auto workers union is asking people in Canada and the U.S. to boycott General Motors vehicles made in Mexico . The Unifor union is asking people not to buy trucks or SUVs with vehicle identification numbers that start with the number three, which signify that they are made in Mexico. Unifor says it will publicize the boycott with television, newspaper and billboard advertising in both countries. In November GM announced plans to close its car factory in Oshawa, Ontario, near Toronto, costing the jobs of about 2,600 blue-collar workers. It also has plans to close four U.S. factories but will negotiate those with the union. The closures are part of a broader restructuring that will cut 14,000 factory and salaried positions as GM tries to slim down to focus capital spending on autonomous and electric vehicles. GM says it has too many plants that make cars as the market in both countries has shifted toward trucks and SUVs. It says the boycott could cause damage to the wider Ontario economy. Unifor National President Jerry Dias (DYE-Azz) says that in 2016 contract talks, GM agreed to keep the Oshawa plant open until the contract ends in September of 2020. He wants the company to return to the bargaining table to talk about keeping Oshawa open permanently. Dias accused GM of closing Oshawa and the U.S. factories while at the same time ramping up production in Mexico, where he says workers are paid $2 per hour. He says the company now makes over 600,000 vehicles per year in Mexico. “We are asking you to stand up to ‘Greedy Motors,’” he said at a news conference Friday in Toronto. factories in Ontario. Asked if the union would strike GM’s Canadian facilities, Dias said: “We are not ruling out anything and we are not going to talk today about future plans.” GM said there are more than 60 Ontario-based auto parts companies that send components to Mexico, including a transmission plant in St. Catherines, Ontario, and stamping operations in Ingersoll, Ontario. 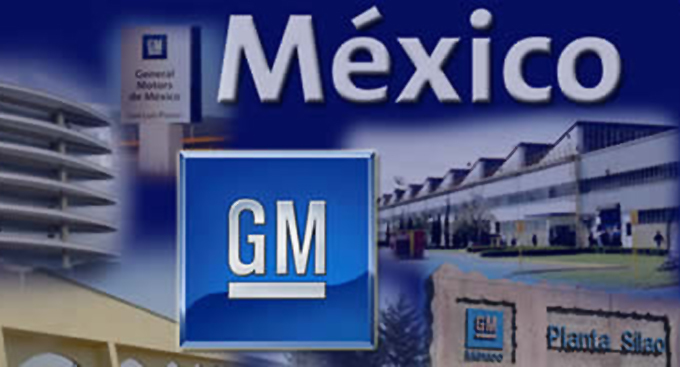 increased trade with Mexico ” GM Canada Vice President David Paterson said in a prepared statement. So far the United Auto Workers union in the U.S. is not joining the boycott effort, but Dias said the unions plan to talk in early February. GM is cutting six car models as buyers have dramatically shifted their preferences to SUVs and trucks, which will account for about 70 percent of new-vehicle sales this year. The automaker also wants to close an assembly plant in Detroit and transmission plants in Warren, Michigan, and near Baltimore. About 3,300 union jobs would be lost, but GM says many can transfer to 2,700 openings at other factories. Cruze compact car. The Equinox also is made in Ingersoll, Ontario, and the Cruze sedan is made in Lordstown, Ohio. GM also builds full-size pickups at several U.S. factories. The company says production at the Ingersoll plant alone is about equal to the company’s retail sales in Canada. April 23rd… World Book Day also. OXKUTZCAB Yucatan (TYT). – Agents of. The garbage left by visitors in. MOTUL Yucatan (SSP). – Agents of.